W2 Consulting were engaged to undertake an independent socio economic evaluation of the 2016 BHGLR. 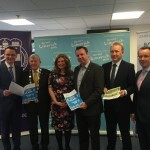 The research revealed that 2,150 of the event participants spent at least one night in Limerick over the course of the May Bank Holiday weekend. The hosting of the Expo at UL Sport in addition to the timing of the event over the bank holiday weekend are key contributors to the level of overnight stays generated. 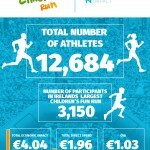 A further 1,891 athletes bring at least one supporter with them who also spend a minimum of one night in Limerick. 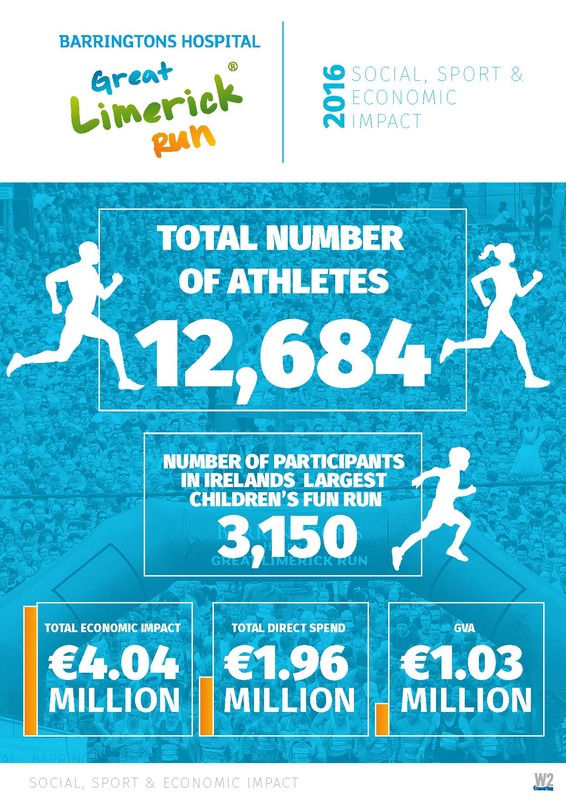 A total of 47% of athletes staying in Limerick spend a minimum of two nights in the host city, generating an average spend of €244. A total 2,166 bed nights were generated specifically by athletes while the total number of bed nights generated by the event over the May bank holiday weekend was 3,917. Athletes were asked whether they would return to Limerick within the next two years as a direct result of their experience in Limerick through the BHGLR. Based on the number of participants who stated that they intend to visit Limerick within the next two years, a further 5,500 bed nights will be generated as a result of the BHGLR’s showcasing of Limerick. It is estimated that 23,000 spectators were attracted to the event to support participants over the course of the day and weekend of the BHGLR. The scale of the event in becoming one of Ireland’s leading mass participation events is reflected in the personnel required to deliver BHGLR. A total of 980 personnel were involved in the operations of the event. This required in excess of 12,000 personnel hours to deliver the event for Limerick. Almost three quarters of the hours required to deliver the event were provided by volunteers. A total of 7,308 volunteer hours were provided to BHGLR under their volunteer programme. 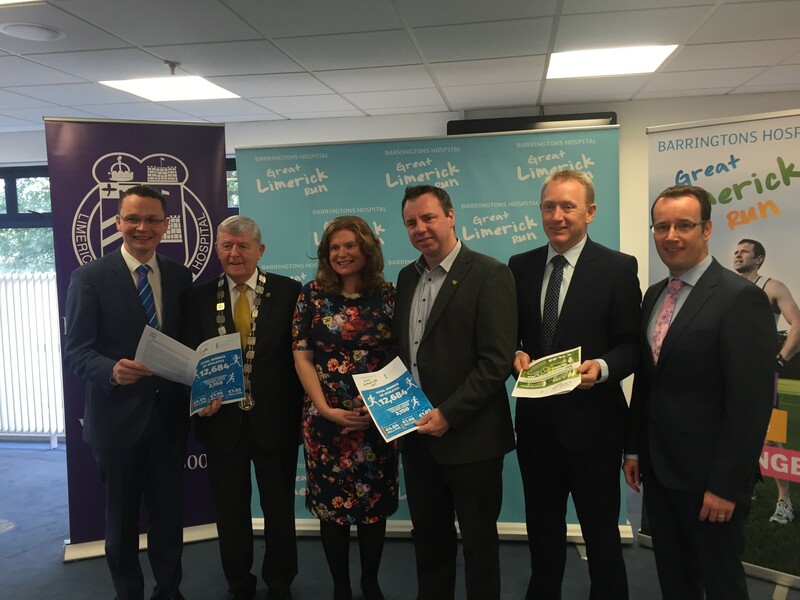 In addition to supporting local organisations through the volunteer programme, a further €265,000 was spent locally in the hosting and operation of the event in Limerick. The hosting of the BHGLR and Riverfest over the May bank holiday weekend had a very significant impact on the occupancy levels for hotels across the city. Hotels achieved a 77% level of occupancy on the Friday night of the May Bank Holiday weekend while 98% of all available bedrooms were full on the Saturday night. A total of 90% of rooms available were occupied in city hotels on the Sunday night. Based on the feedback provided by hotels, 43% stated that they had experienced an increase in reservations from 2015 levels while they also experienced an average increase of 40% in guest expenditure from the previous year. One fifth of bedrooms on the Friday night were attributed to BHGLR business while almost half of all bedrooms filled in the city on the Saturday and Sunday of the May bank holiday weekend were a direct result of hosting the BHGLR in Limerick. The most significant growth in occupancy levels between 2016 and 2012 was on the Saturday night, increasing from 96% to 98% occupancy while Sunday night increased from 48% occupancy to 90% occupancy. The average room rate achieved by Limerick hotels over the May bank holiday weekend was €90. This ranged from €56 to €113 as the stated average room rate achieved by hotels in Limerick.